" The special lecture by the Senior Curator of Japanese Art "
A specialist in the history of narrative painting production in fourteenth- and fifteenth-century Japan, Dr. Ulak received his PhD from Case Western Reserve University (Cleveland, Ohio) in 1994. In 1995, Dr. Ulak joined the staff of Freer|Sackler as Curator of Japanese Art (1995-2003). He has also held the positions of Head of Collections and Research and Chief Curator (2002-2003) and Deputy Director (2003-10). Dr. Ulak served as a researcher at the Cleveland Museum of Art (1982-85), Associate Curator of Asian Art at Yale University Art Gallery (1987-89), and Associate Curator of Japanese Art at the Art Institute of Chicago (1989-1994). In addition to his work at Freer|Sackler, Dr. Ulak serves as an advisor to a number of museums, private collections, and foundations in the United States, Europe, and Japan. He has served on the United States Arts and Artifacts Indemnity Program since 2009 as a member of the Advisory Panel for International Indemnification and as chairman of that panel since 2015. On April 29, 2010, the Government of Japan conferred on Dr. Ulak the Order of the Rising Sun, Gold Rays with Rosette, in recognition for exceptional achievement in strengthening Japan-US bilateral relations in the area of cultural exchange. *This photo is for illustrative purposes. 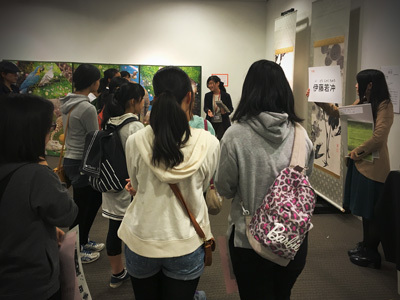 NIGHT MUSEUM @ the NOSHIKI MARKET "ITO JAKUCYHU and MUZUMOKI"
October 2. Sun. - October 30. Sun. *video: until October 16. Sun. Kyoto Prefecture / Kyoto City / Kyoto Broadcasting System Company Limited / The Kyoto Shimbun Co.,Ltd. 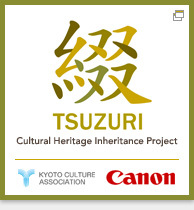 Stage 9, Donation Ceremony "Frolicking Birds in Plum and Willow Trees on the north, west, and south side of Jokan-ni-no-ma"
On April 11, 2016, as part of Stage 9 of the Tsuzuri Project, we produced high-resolution facsimiles of the 22 sliding door paintings located in the Abbot's Chambers of Tenkyuin Temple. 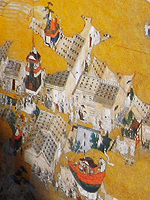 These facsimiles were donated to Tenkyuin Temple, a subtemple of Myoshinji Temple in Kyoto. 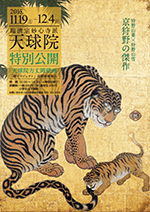 Over a five-year period beginning in 2012, the Tsuzuri Project was involved in the reproduction of kinpeki-ga (landscape paintings made with gold-foil-pressed paper) in the Abbot's Chambers of Tenkyuin. 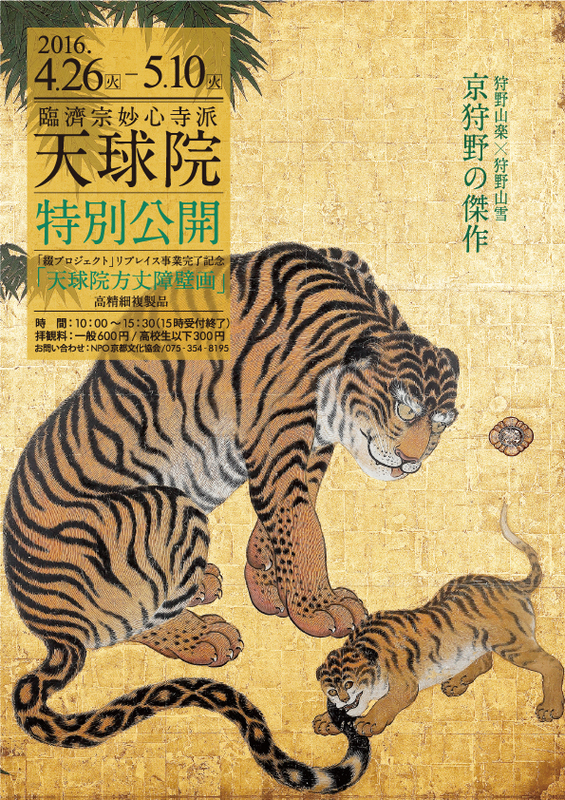 The facsimile project came to a conclusion with the reproduction of a total of 56 paintings on sliding doors that decorate the Morning Glory Room, the Tiger Room, and the Plum Room of the Abbot's Chambers of Tenkyuin. 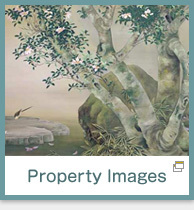 These included Frolicking Birds in Plum and Willow Trees, a work originally created by the artists Kano Sanraku and Sansetsu and donated as the final contribution of this project. 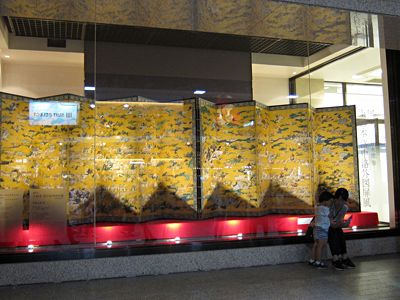 Following the donation of the facsimiles, the original cultural assets were entrusted to the Kyoto National Museum for safekeeping in a controlled environment. 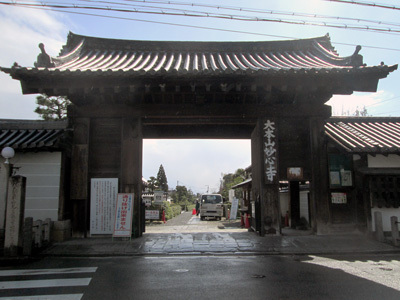 Tenkyuin is normally closed to the public, but it is scheduled to open on special occasions in spring and autumn when the facsimiles are displayed in place of the original artworks. Detail："Frolicking Birds in Plum and Willow Trees on the north, west, and south side of Jokan-ni-no-ma"
Detail："Tigers in Bamboo Grove on the north side of Shitchu room"
Stage 9, Donation Ceremony and Special Exhibition "Scenes from The Tale of Genji"
As part of Stage 9 of the Tsuzuri Project, Scenes from The Tale of Genji were reproduced and the facsimiles were donated to Byodoin Temple in Kyoto on March 18, 2016. 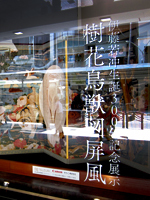 The Tale of Genji comprises 54 chapters; these screens depict scenes from the chapters titled Sekiya, Miyuki and Ukifune. It is believed that these screens were part of the original sliding doors that enclosed the room. The original art is in the collection of the Metropolitan Museum of Art in the U.S.A. 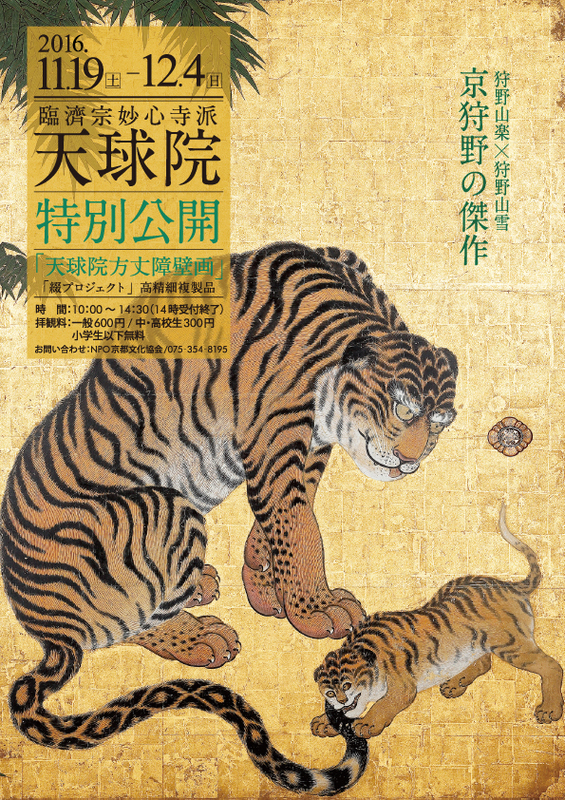 In cooperation with the Metropolitan Museum of Art, the Tsuzuri Project produced high-resolution facsimiles of Scenes from The Tale of Genji. 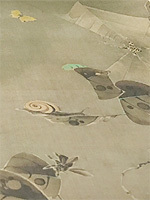 These reproductions were donated to Byodoin Temple, Uji, Kyoto as a symbolic homecoming to the setting of The Tale of Genji. 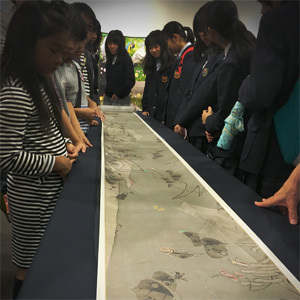 The high-resolution facsimiles of a pair of four-fold screens depicting Scenes from The Tale of Genji were installed at Byodoin Museum Hoshokan and displayed to the public in a special exhibition open until April 24. Detail："Scenes from The Tale of Genji"
Now we are seeking 10 new students who learn art history at university and graduate schools and who satisfy requirement for Cultural Property Sommelier. We seek university or graduate students who are able to participate in the project from next spring. The schooling will start in May 2016, and teaching at elementary and junior high schools will start in June 2016. There will be some gratuity for activities. 10 years have passed since her first solo-exhibition and she is turning 30 years old this year. As an artist and a calligrapher, the exhibition will be the compilation of her work from the past decade.